The PC market will continue its downward spiral in spite of the debuts of Microsoft's Windows 8.1 update and Intel's latest-generation Haswell processors, a new analysis contends. Mark Moskowitz of J.P. Morgan doesn't have high hopes for PC sales in the immediate future, he said in a research note provided to AppleInsider on Thursday. He estimates that overall PC sales will be down 8.3 percent year over year for calendar 2013. "We are not expecting any sort of near-term rebound due to new Haswell chips or Windows 8.1," Moskowitz said. "In our view, the secular decline in PCs stands to continue due to elongating useful lives of the devices, the shift in IT dollars to tablets and smartphones, and tight budgets at both corporate and government levels." His take comes in response to the latest quarterly estimates from IDC and Gartner, both of which showed yet another decline in PC shipments for the June period. Gartner found that global PC shipments were down 10.9 percent for the quarter, led by Acer with a 35.3 percent plummet. Analysts generally agree that the PC market will not turn around anytime soon, as consumers flock to tablets like Apple's iPad. Apple didn't crack the top five worldwide PC vendors, but in the U.S., Gartner's numbers suggest Mac shipments were down 4.3 percent year over year, while its 1.8 million domestic shipments were good for third place. IDC, meanwhile, found that Apple's shipments dropped by just a half-percent. Apple is likely to see a boost to Mac sales in the second half of 2013 with new MacBook Airs already available, and anticipated updates to the rest of the Mac lineup on tap. 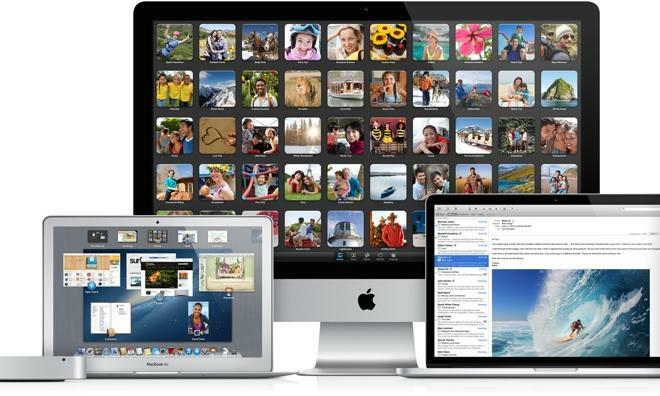 But market watchers also believe that Mac cannibalization from Apple's iPad lineup is likely to continue. Apple Chief Executive Tim Cook said in February that he's not concerned about the iPad cannibalizing Mac sales. He noted that the Windows PC market is "huge," giving Apple an even greater opportunity to earn new customers. "The cannibalization question raises its head a lot," Cook said. "The truth is, we don't really think about it that much. Our basic belief is, if we don't cannibalize, someone else will." Tablet cannibalization of PCs was also noted on Thursday by Amit Daryanani of RBC Capital Markets, who cited devices like the iPad as the chief reason for declining PC shipments. Unlike Moskowitz, Daryanani expects that PC shipments will see a "modest improvement" beginning in the December quarter with Windows 8.1 and Haswell CPUs.